This card is for the April Paint the Town challenge at Market Street Stamps. It was an embossing bonanza and not a speck of excess powder was spilled in the process! I even dared to open the windows. (It can be dead calm outside but if I open a pot of embossing powder then a gale is sure to start blowing so the windows generally stay firmly shut). Today was too beautiful not to open them though and thankfully it stayed calm. Okay, must get a few things done before I'm off to a baby shower. Hope you're all having a lovely weekend! Wow! I love the sentiment and the rainbow of colors acrossmthe background is stunning Jen! Wow! Fantastic! I love this card! AWESOME eye candy here! SO cool. WOW! This is a real stunner Jen. You can rock the embossing powder like none other. Lovely. Stunning card Jen! Love how it looks busy but is really quite CAS! Clever you! Love how the colors pop on this card! 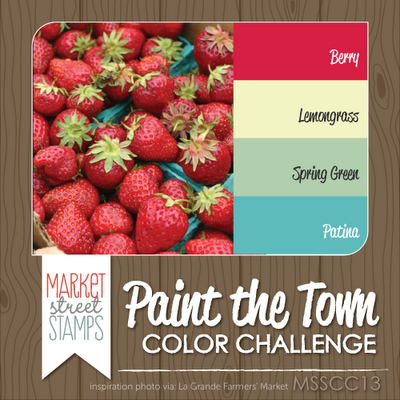 Thank you for sharing you card with us for the Paint the Town Color Challenge!! That paisley bg is the best embossed in white like this! And no disasters, good for you! :P I really like how you let the sentiment carry the colours, too. You are the embossing powder-whisperer! You must share your tips! I'm such a messy embosser! The pops of color over the black and white is so striking! And the sentiment makes me all teary-eyed:). Really great card Jen! This is down right fun, and wow, that embossing is perfect! Wow, gorgeous and perfect embossing here! Love this card! WOW! 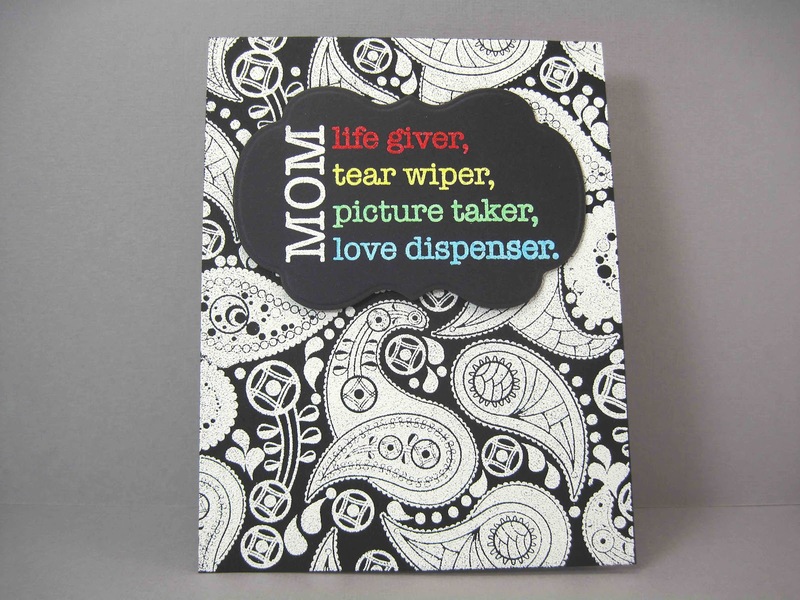 This is a fantastic card - the sentiment is great and your embossing is so clean and vibrant! Beautiful use of the colors, JEN! I love how the words really POP off the card! Thanks for playing along with us this month! This background is wild and fun, Jen - so love it. Another throw-back to my favorite times, the 1960's. Very "Mod", as we used to say. it sets off the brilliant colors beautifully - a wonderful creation. This is wonderful. 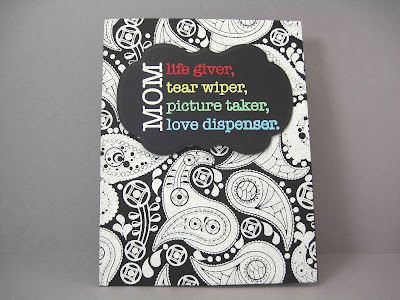 I love the background with those big paisleys, and the pops of color in the sentiment are fabulous!